my husband even carried it up the Eiffel tower – whilst carrying our toddler during the same time! 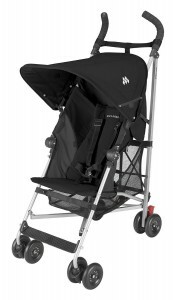 I have had a look the incredible useful Maclaren Globetrotter Stroller, an excellent stroller for travelling. The Globetrotter comes in loads of different colours, but I prefer the (black) version. 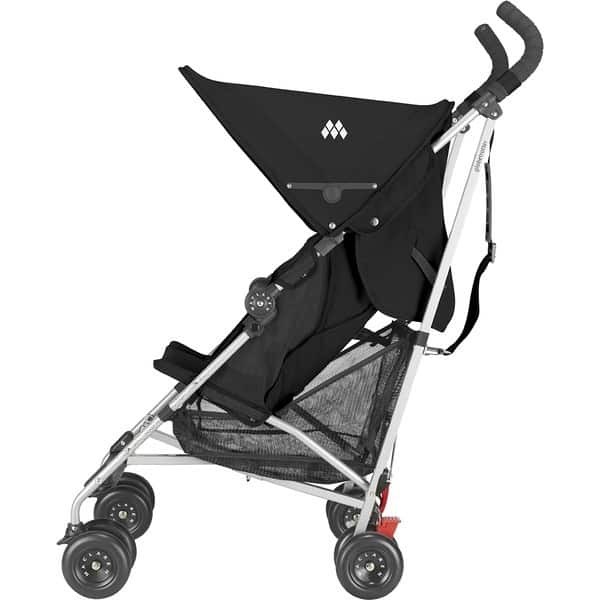 Maclaren Globetrotter Stroller (Black), by Maclaren The Globetrotter is Maclaren’s lightest reclining buggy ever and a great stroller for parents who love the Maclaren Volo but want the flexibility of a reclining seat. It is a perfect stroller for mums who are looking for a superlight stroller and it’s simple to fold, store, and ideal for travel. Below I will provide a comprehensive review of the Maclaren Globetrotter Stroller, which should help you understand whether this stroller is what you are looking for. Is the Maclaren Globetrotter for you? Let’s find out! The Maclaren Globetrotter stroller comes with a wealth of different features that make the tram stand out among the other available options. To ensure that this the seat position can be changed quickly and efficiently, Maclaren has included a useful recline system that changes the seat position between the three available options in mere seconds, due to its ability to be one-handed. This is handy during those days where your child is going to be spending a lot of time in the stroller, as different reclining positions can keep them comfortable at all times. Another key feature is that of the hood. 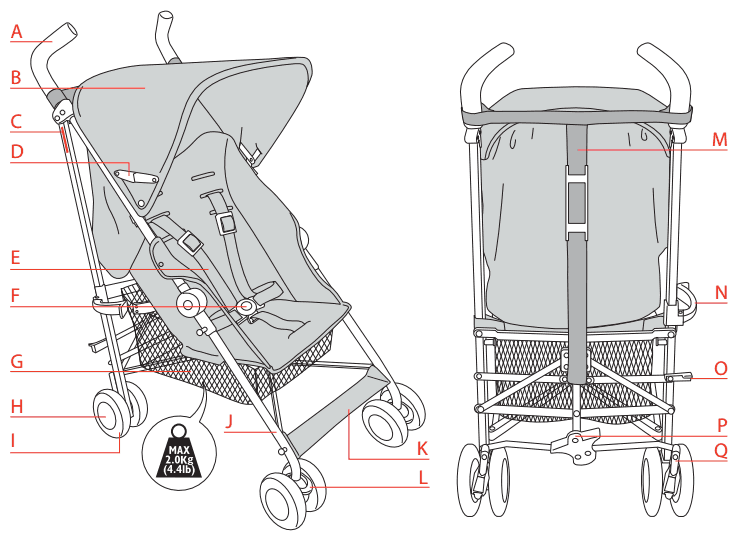 The hood is made to be over-sized in comparison to the hoods of many similar strollers. This is done in order to protect the occupant from both rain and harmful UV rays. There’s also a nifty little storage pocket where you can put smaller things you need to have quick access too (and don’t want to put in the storage basket). Things like mobile phones, sunglasses, etc. It should be noted that the cover is wind-proof as well. How great it that? When looking to purchase a stroller, one of the most often overlooked features is that of the warranty that comes with the stroller. Though the materials used are durable and made to withstand quite a bit of handling, a warranty could prove to be useful. Anyone looking to buy this stroller should remember that the pram needs to be registered directly through Maclaren Online within the first 60 days after it has been purchased in order for the warranty to be in effect. Owner of the Globetrotter stroller will also be happy to find that there is a rather sizable shopping basket located towards the rear of the stroller. This basket is one of the largest available on trams and can store pretty much all your baby gear. One of the very best features of this stroller is just how lightweight it is, as it comes in at a mere 5 kilograms. Due to the fact that it can also be folded very easily, makes the Maclaren Globetrotter it the perfect stroller for use when traveling. It doesn’t take up much space and is more than easy to store. It’s good to know the Globetrotter is living up to its name! Another very useful feature is the washable seat that comes included with the stroller. This seat is easy to remove and easy to wash, which isn’t exactly common with stroller. When washing the seat, it should be remembered that it needs to be placed in cold water and set to a delicate cycle before being hung to dry. There are a lot of customer reviews that highlight the quality of the Maclaren Globetrotter stroller. We bought this for our trip to Paris for our 1.5 year old. After reading some of the negative reviews we were surprised that it exceeds our expectations. It is very lightweight, so was easy for my husband and I to lift on and off trains etc. And my husband even carried it up the Eiffel tower – whilst carrying our toddler during the same time! Overall, there are a total of 14 customer reviews that have been written for this product, with an average rating of 4.1 out of 5 stars. What do other users on internet think? As with any stroller, there are a couple of cons by customers that should be mentioned. For one, it has been said that the basket towards the back of the tram is a bit too small for shopping. With that being said, it is among the largest in regards to similar types of buggies. Also, it is not the most beautiful of strollers, but considering the price, totally worth it I’d say. Overall, there’s a lot to like about the Maclaren Globetrotter: the stroller is lightweight and easy to fold, while the seat is comfortable and can be easily removed to be washed. The reclining capabilities also add a lot to the feature-set of this particular stroller. I can say with confidence that anyone who is in the market for a lightweight stroller and is looking for a relatively affordable would be happy with choosing the Maclaren Globetrotter stroller.